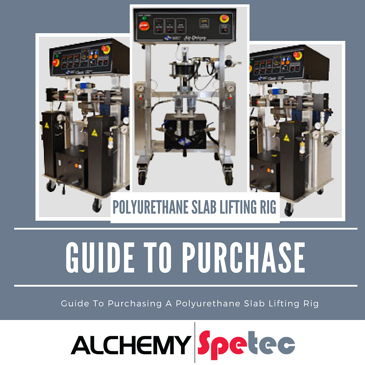 In this blog post, we’ll take a look at the basic costs of buying a polyurethane slab lifting rig and the packages that we offer. These configurations usually fit the bill for many of our interested customers. However, we also have the ability to put together a custom rig package for you. Slab lifting trailer rigs usually start in the upper 40K range and go up from there. We have many configurations but have found that three different packages generally cover the needs of most contractors. Each rig is packed with unmatched quality and a plethora of features. These include but are not limited to; insulated walls and ceilings, AC/Heat, diamond plated floors, breaker panels, ramp doors, and a work bench. This rig features an air powered PA-25 proportioner. Don't get me wrong, entry level is not the best choice of words because this setup is also good for residential and commercial projects. It's in a 16' v-nose trailer and has a gas powered air compressor and generator. We have many contractors with this set up doing everything from residential to D.O.T work. This rig can either be a 18' or 20' trailer that happens to be built around the best selling PH-25 proportioner. This setup is made for the contractor who wants stellar result in an affordable range that features a hydraulically powered proportioner. This is also the best selling machine package, it boasts a 22 KW diesel powered generator and electric air compressor. This rig is similar to the mid-level rig with larger PH-25 and PH-40 proportioners. These rigs come in 20' and larger trailers and are powered by 35 KW Stateline Diesel (John Deere) generator sets and also include electric air compressors. This setup is suitable for huge insulations jobs or larger buildings. The best way to get “real world” scenario training is for one of our guys to come out to locations where you have potential jobs and train on site. This is a fool proof way to learn your new equipment and get paid while doing it. This is a good way to learn useful evaluation and estimating skills for the next job ahead. Want more information on polyurethane slab lifting equipment?